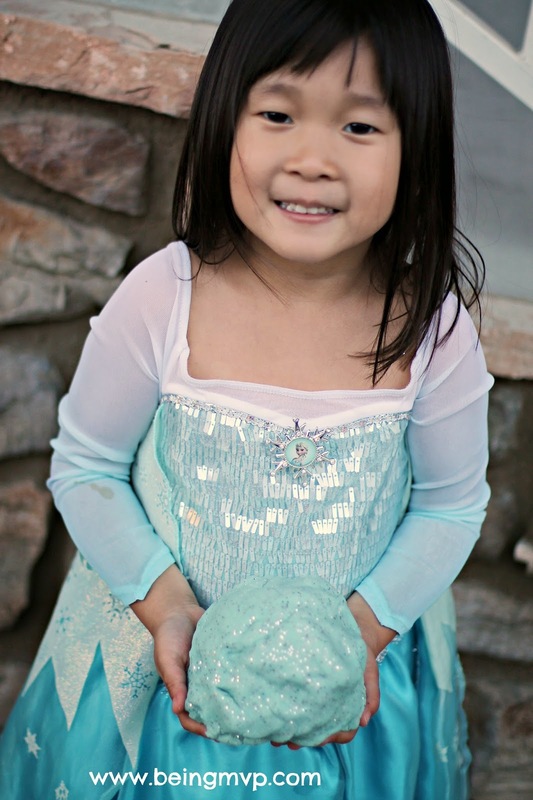 Oh yeah it's another "Frozen" craft this week! Kids just love to play with dough - of any kind. Since we had had a lack of dough in the house because whenever I find bits of dried pieces around the house, it gets tossed. I thought it would be fun for Kenzie to make her own in her favorite Frozen color! Mix flour, salt, cream of tartar and oil in a large mixing bowl. Boil water and add blue gel food color. Use as much to get to desired color. I used about 1/2 a tsp. to achieve the light blue color. Add boiling water and mix well. Parents should help young kids at first because of the heat but after several minutes, the dough is cool enough for kids to mix. Add glitter! Kenzie loves sparkles so we used a ton. Knead well until completely combined. 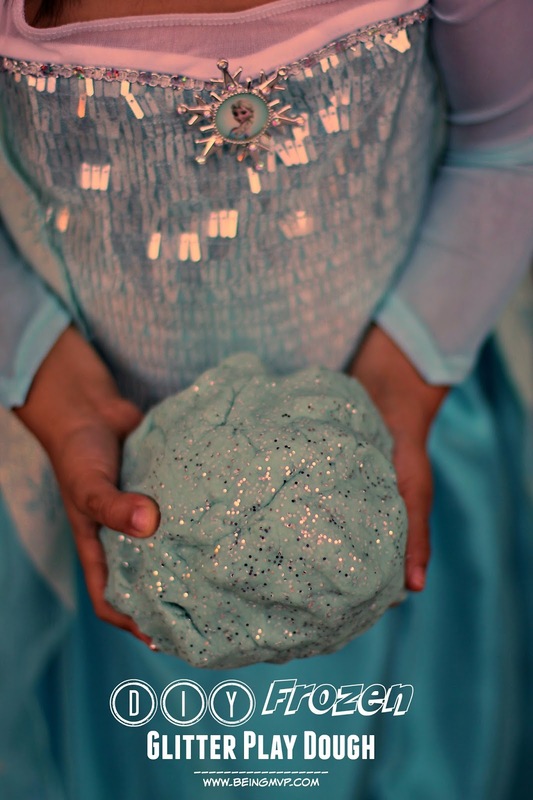 Roll out and/or ball up and have fun with the Frozen play dough! This is so easy to make and kids can literally make any color they desire. Kenzie already has a list of colors she wants to make next. Just store in a sealed container and it can last for a very long time! 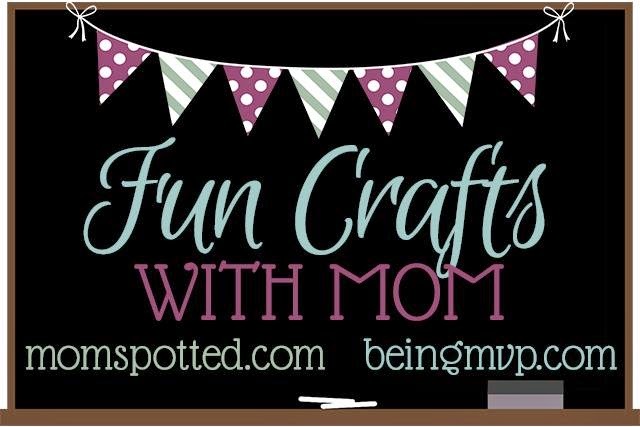 Check out the craft from MomSpotted this week. I hope you enjoy and link up if you have a fabulous craft you want to share! 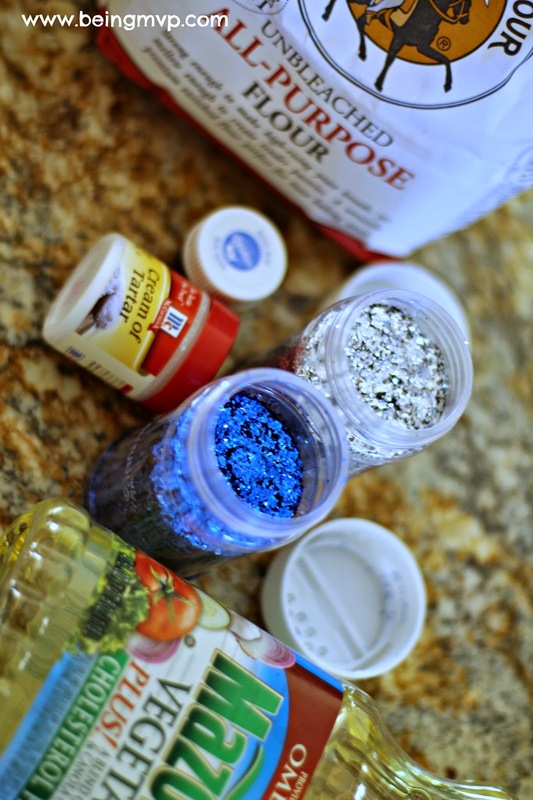 This play dough looks super cute with all the glitter, the little ones would love this. 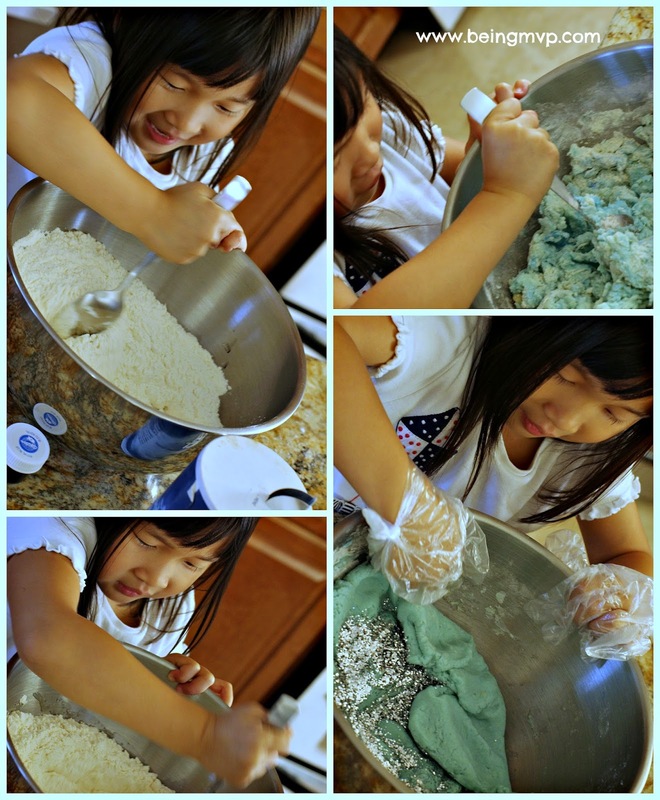 Wow I would love to make this glitter dough and play with it myself! I wish I knew this recipe when my children were young, they would have enjoyed this! Fun to make and fun to play with! My grandsons would get a kick out of this! They just discovered Frozen the other week and are obsessed! Fun! I have to make this with my girls! What a cute idea! My daughter would love this. For Halloween I have made playdough with orange food coloring and pumpkin pie spice and it was awesome! Oh, I would have loved glitter play-doh as a kid!! I love how crafty you guys are. I loved making playdough with my grandmother when I was young. I love the addition of glitter! Fun! Great idea to use gloves while mixing! We always make a huge mess. Super fun!! I love love love all the sparkles! !